A popular, relaxing, friendly and non-stop fun park, easily reached from the North or South. With an award winning beach only meters from the park, South Cliff is a favourite for families and couples. It's all play all day on the multi sport recreation area for kid's with unlimited energy! There’s a choice of entertainment to choose from at Makis Leisure Complex. With the impressive Don the Duck, fantastic kids entertainment, hilarious comedians and amazing tribute acts not to mention the energetic discos to dance the night away, you're sure to experience something for all tastes. Alternatively simply relax and enjoy a quiet meal or drink in the Piano Bar. With an on-site mini-market and mouth-watering fish and chip takeaway you’ll never go hungry. The Touring and Tenting section offers campers a lovely grassed area, surrounded by mature trees and woodland. All pitches offer electric hook-ups and hard standing bases. The site is complemented with two purpose built wc/shower blocks with disabled facilities and waste disposal points. 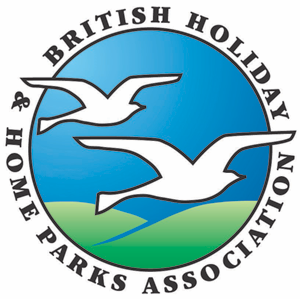 For those of us who enjoy a home from home holiday, there is an extensive range of 2 or 3 bedroom static holiday homes to hire, set in the touring site surrounded by mature trees. Fully fitted with modern conveniences and colour television all holiday homes come with a veranda, picnic table and private parking space. A scenic coastal site set in beautiful landscaped grounds, within easy walking distance of the lively and picturesque Yorkshire Coast Resort of Bridlington. Situated on A165 Hull to Bridlington Road 1 mile south of Bridlington.